Yours truly was invited to check out a gelato place recently. When I arrived, my first impression was that it was such a charming little place, the deco and ambience is very cosy with comfortable seating. It was also eye catching as the walls were made out from colourful recycled wood of fishing boats. 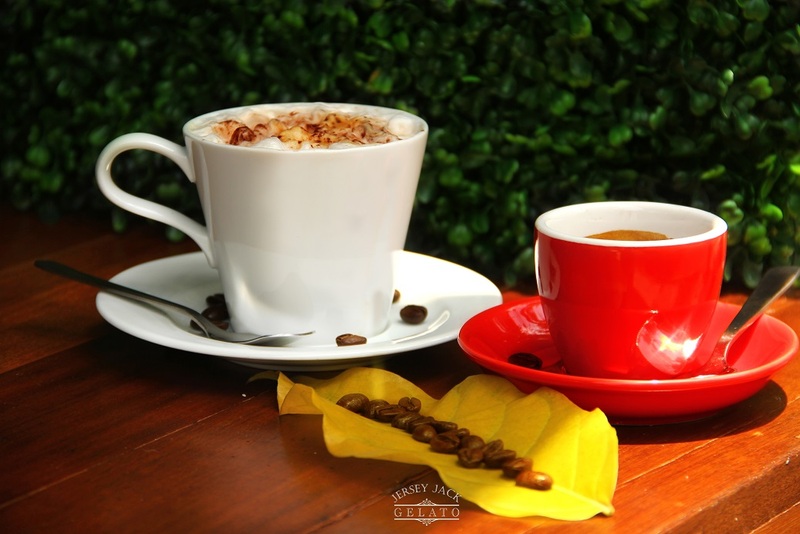 Tucked away in a quiet, cluttered residential street near some of the city’s most popular pubs, bars and restaurants, this place is a small al-fresco area and is just a stone’s throw from Changkat Bukit Bintang. 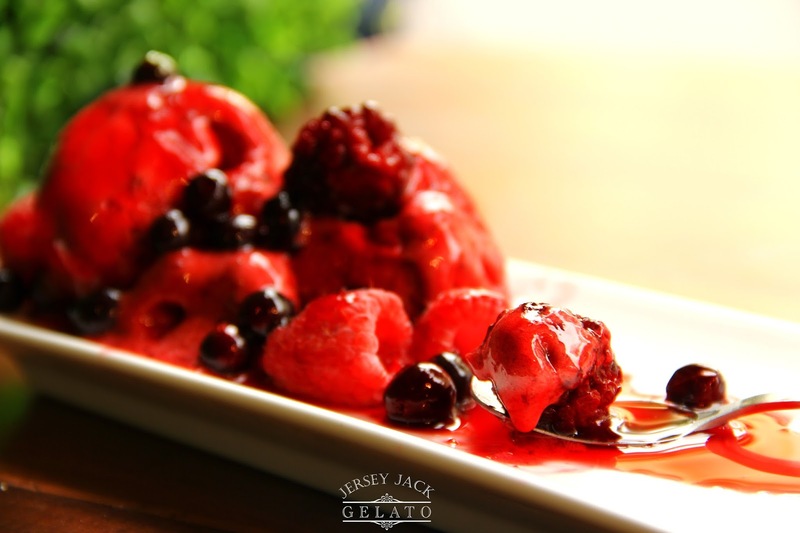 Jersey Jack serves up to about 36 flavours of gelato, sorbets and sherbets daily. 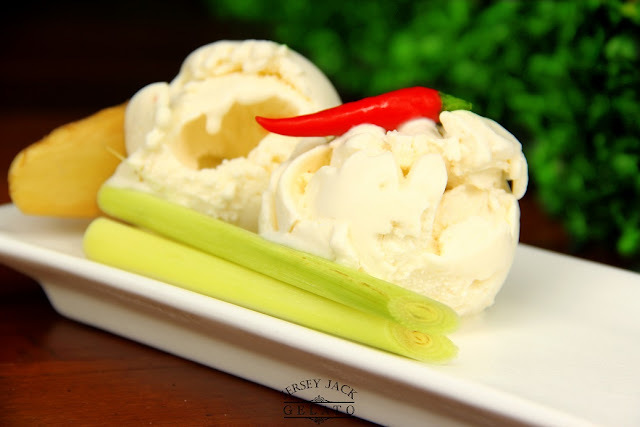 These are all made in-house using fresh milk from Jersey cows – the name is a nod to the cows with the milk supplied by local dairy farm called Bright Cow (located in Kuala Selangor - yeaaap... I wasn't aware there was a farm here in Malaysia supplying milk from Jersey cows too!!!). Jack is the owner’s son. Jersey Jack Gelato here operates as part café, part distribution and production hub for their gelatos, sherbets and sorbets. Helmed by Tony Gowler and Joanna Chee, this dynamic duo are long time friends and wanted a change from their previous jobs (Tony was an engineer while Joanna was in the events scene). 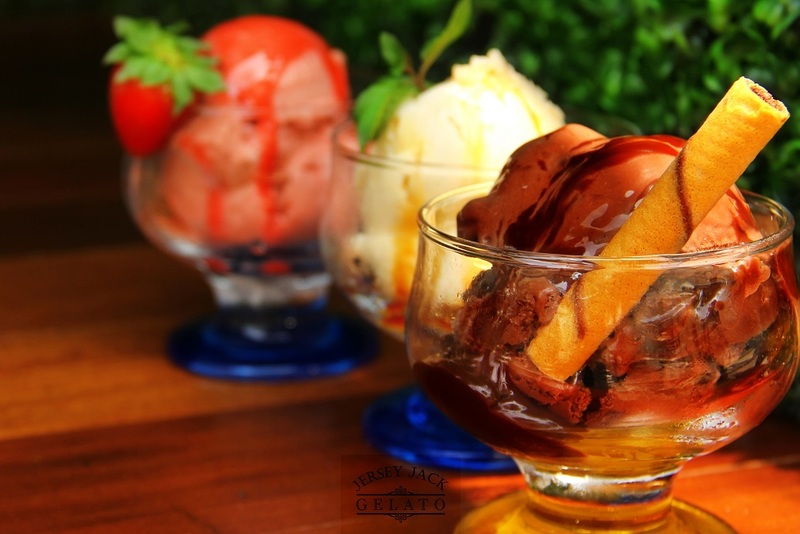 Prompted by a suggestion from his friend, Paul Foster to start an ice-cream business, Tony was inspired and went back to the UK to do his research and a training course. Paul is the owner of Bright Cow and similarly left his job to start the dairy farm. 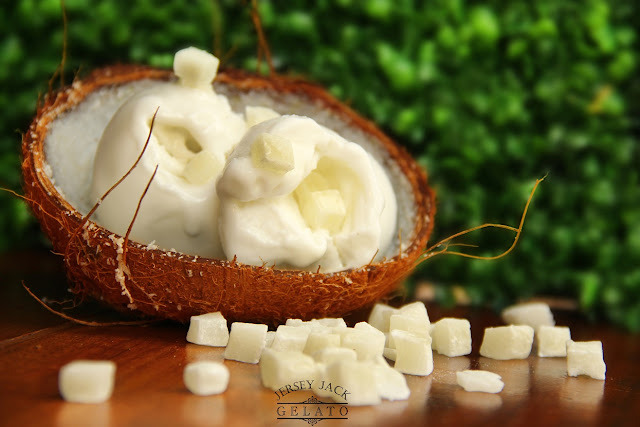 Tony is the man concocting all the flavours while Joanna manages the marketing and branding segment of Jersey Jack. 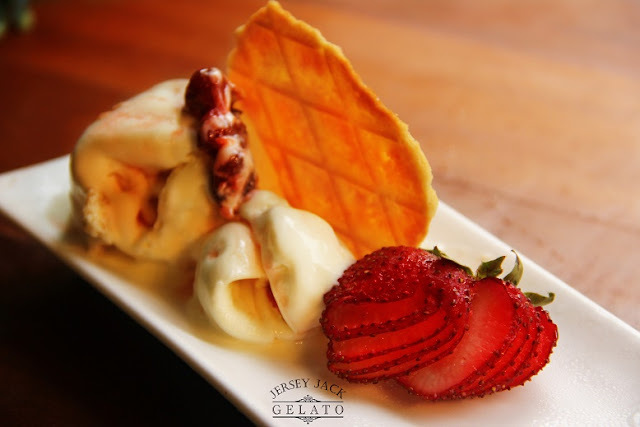 If you're up for gelato made with chilli, ginger and lemongrass, this new ice-cream parlour in Bukit Bintang should be up your alley. 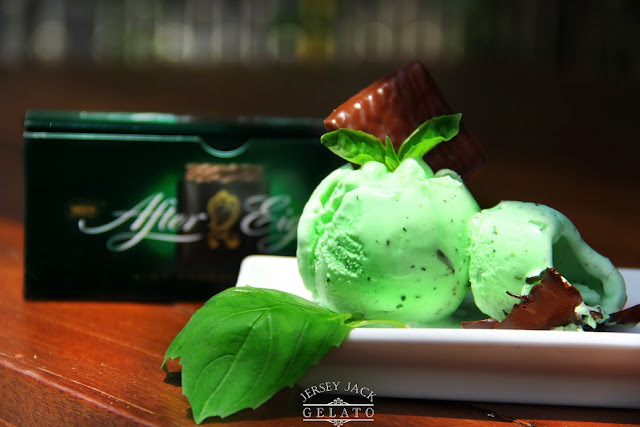 Try the After Eight, Bailey's or passion fruit gelato, but if you're feeling experimental, go for the salmon and wasabi gelato. 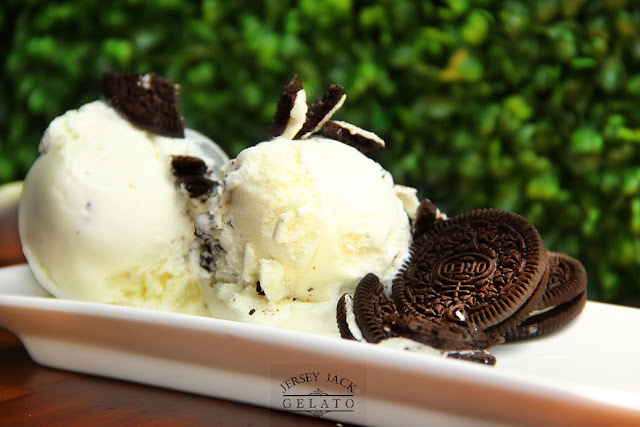 For safer flavours, get a scoop or two of pistachio, salted caramel, tiramisu or cookies and cream. The owners recommend pistachio flavour, which is top on their list of favourites. For something more citrusy and tart, there is the cherry flavour which has a refreshing aftertaste. 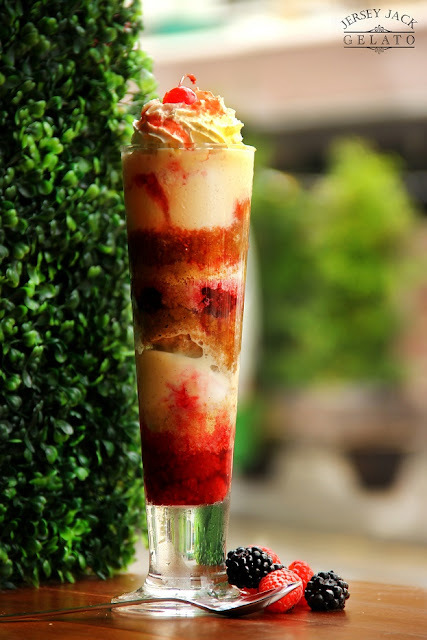 You can pick any flavour and have them whip it up into a milkshake for you! 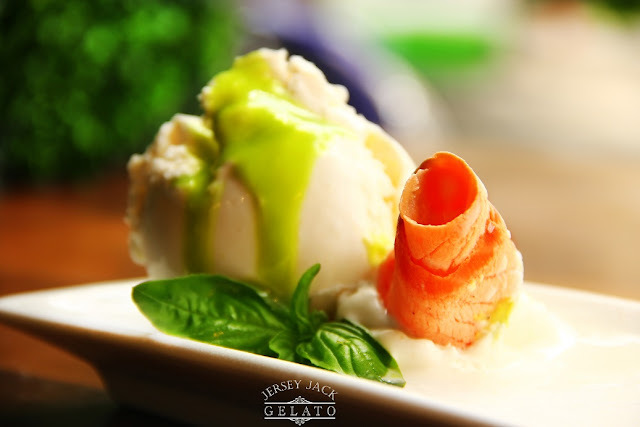 If you’re feeling adventurous, try the champagne flavour, or the salmon and wasabi for a Japanese inspired take on Italian gelato! 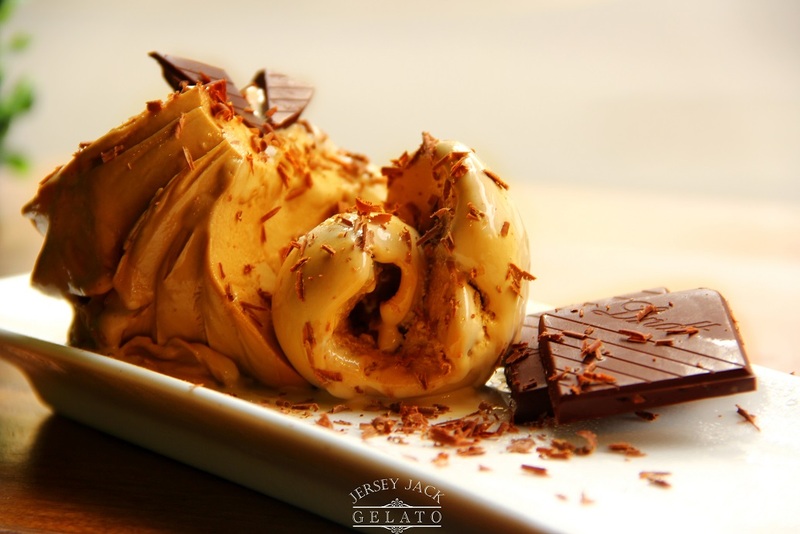 The smooth, creamy texture of the gelato will be sure to win over most hearts, both the old and the young. 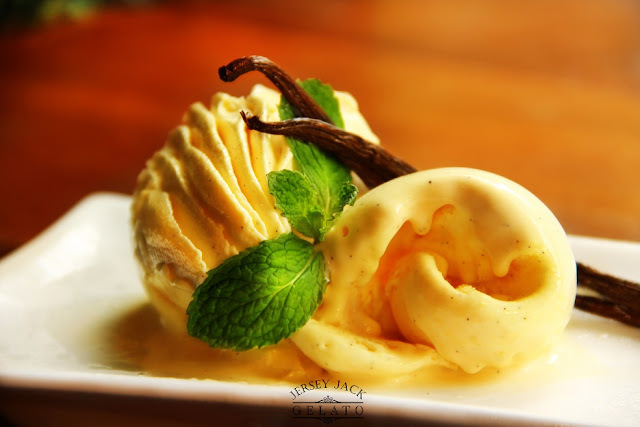 It is the perfect treat for the hot, humid days we have here in Malaysia and with 36 flavours available, you will definitely be spoilt for choice. After practically salivating and greedily tasting all the flavours, I decided on the After Eight gelato...It was truly one of the hardest decisions I had to make on ice cream... hahahah.... because trust me, they are THAT GOOD!!! Belgian Chocolate- The finest unsweetened dark chocolate produces a rich and intense Gelato, a must for chocolate lovers.. The mixture is then mixed together using a giant mixer..
Then Tony carefully pours it into the gelato machine. And waits for a few minutes (less then 10 minutes) until the temperature drops to a minus 8 degrees . 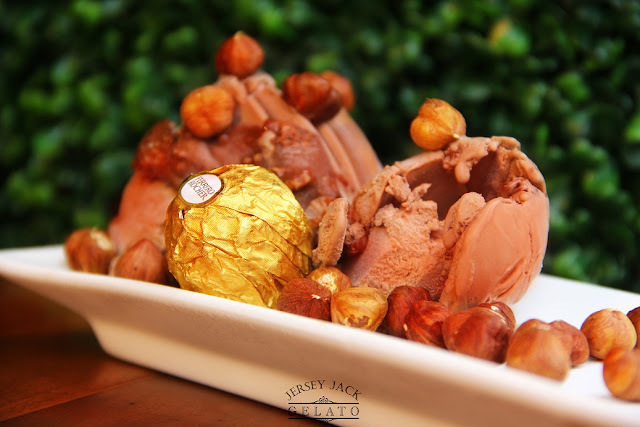 The Jersey Jack Gelato team has just started launching a series of mobile tricycle carts selling gelato around the city centre. For the initial run, the tricycle carts will be around Jalan Alor and Bukit Bintang. So keep your eyes out for them!! A single scoop gelato starts at RM12 while the sorbet is RM10. 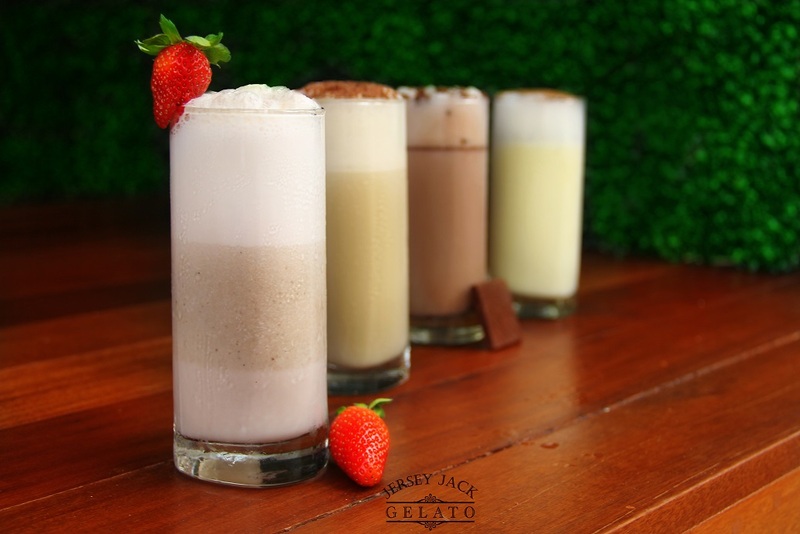 The drinks range from RM5 to RM12 and include milkshakes and coffees. Sundaes are priced at RM14. 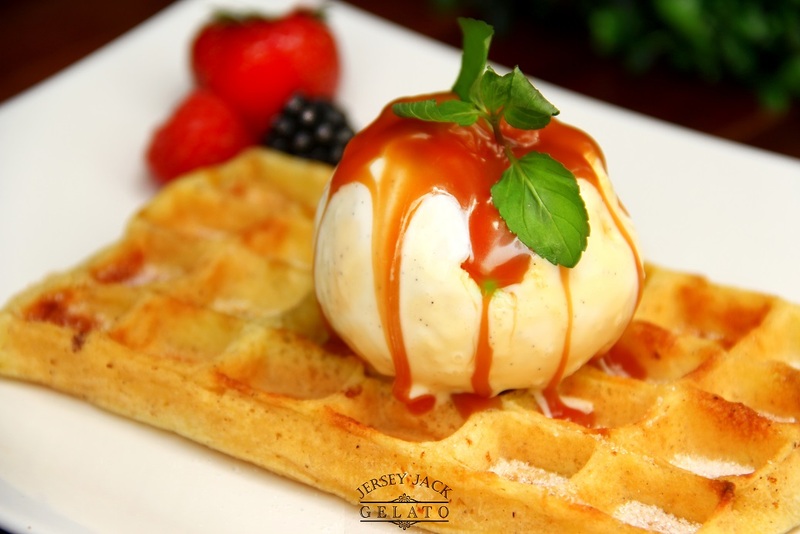 Jersey Jack Gelato, 49, Jalan Berangan, 50200 Kuala Lumpur. Opening hours: Monday – Sunday, 12pm – 10pm. Find out more on their official website here. Or more on their FB here. is it a housing area there? haha not familiar with changkat's area...but the gelato looks yummy and not too pricey for me :D the flavour like Chilli, Ginger and lemongrass sounds so exotic and tempting! 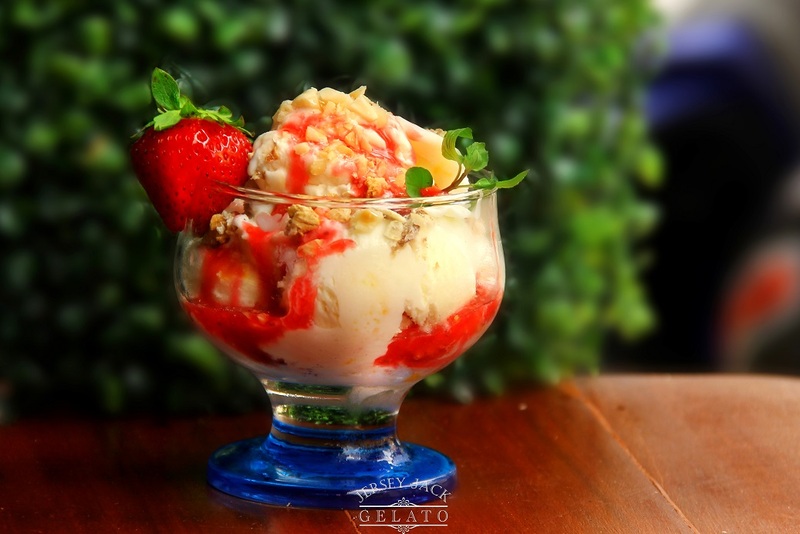 yes, the gelato is absolutely lovely.... if you happen across it, you really must try it..
everything look awesome. That chili, lemon grass and ginger??? wanna try that. 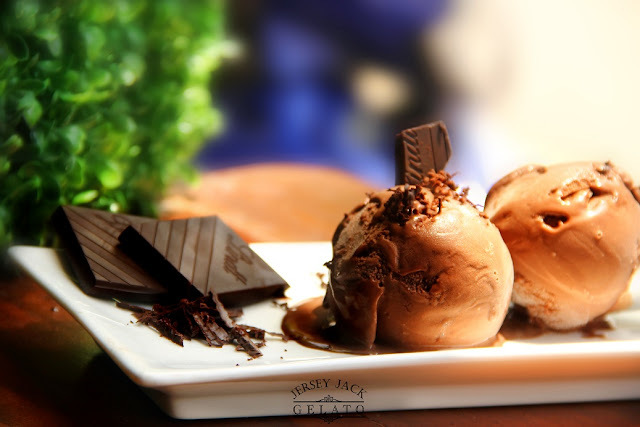 Belgian chocolate ice cream will put at my list the food that I need to have this weekend. Will check out the place. so tempting... i want ice cream too. Can I have the caramel one please? The gelato ice cream is so special especially the chili and ginger one. Must be so spicy and not dare to try it. hehe..
Nice place to have gelato ice cream. Looking at the photos made me want to have some now. We love Gelato too! The price seems quite ok wish to visit there soon. omg omg omg!!! All the ice cream pics looks so tempting lerr!!! I wanted to try!! Wow. 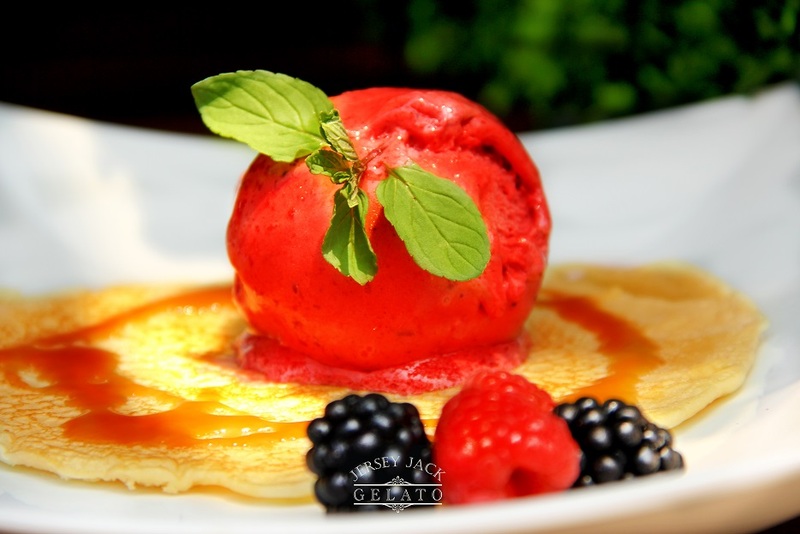 so many varieties of ice cream and wild berries is looking gorgeous. I love gelato! I have spotted a few flavours and wish to try them like the After Eight, New York Cheese Cake and the interesting Salmon and Wasabi.